Yes, this is about step ideas. 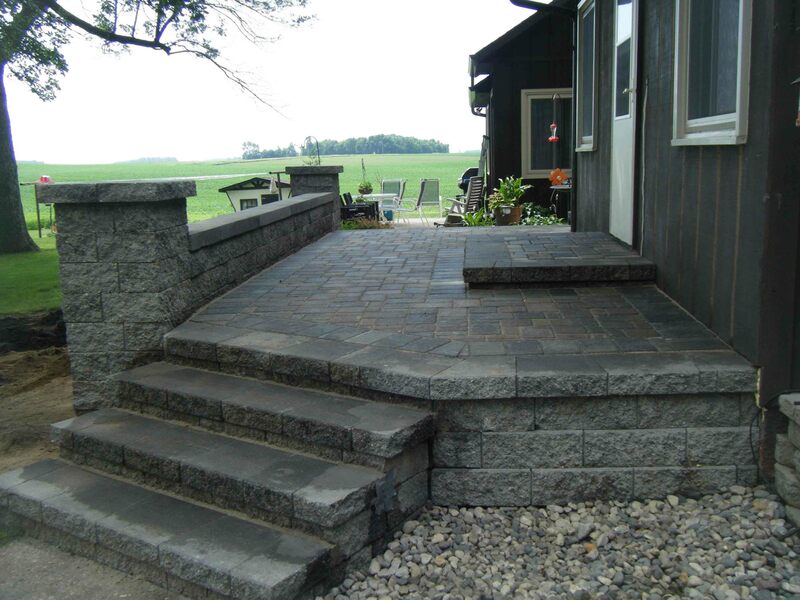 We know, you may not think about your steps as a way to add character to your home, but we wanted to change that. These 5 creative step designs will not only be functional for your family, but they will also enhance your curb appeal. Once you have read our ideas, we’d love for you to answer our poll below! 1. Angled Entry. 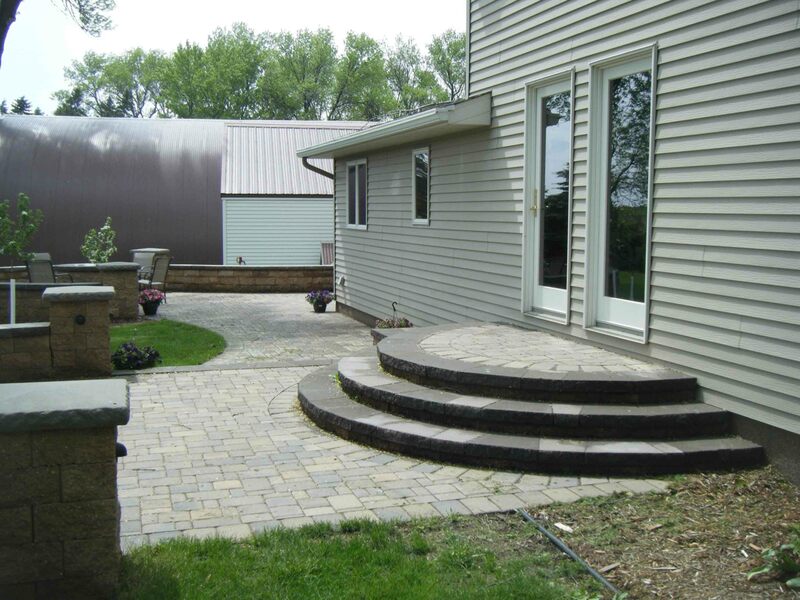 This is a great way to incorporate a raised entrance stretching from end to end with your stairs coming off at an angle on the side that could lead to your driveway or yard. Look at all the space you have for entering your home. Carrying in groceries would be so much easier! 2. Extended Entry. This idea showcases how you don’t need to have all the stairs in one spot – you can gradually step down. By the door there are two steps leading out and then a landing with the grill and patio furniture. You can exit to the lower paver patio area that leads to a fire pit or exit by the grill to the yard that leads to the front of the house. 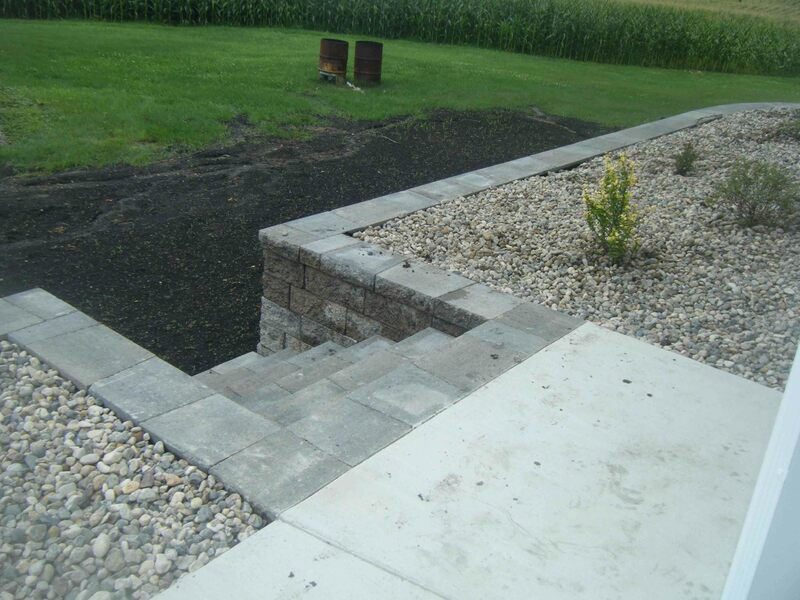 This family also incorporated a retaining wall so they could plant shrubs and flowers. 3. Rounded Entry. This is a unique and memorable entrance. 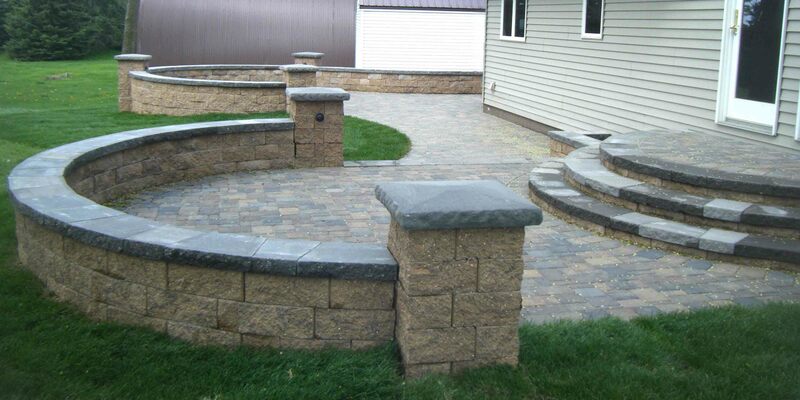 It utilizes the same curvature outline as the paver patio and free standing wall. Truly, a beautiful design. 4. Classic Entry. 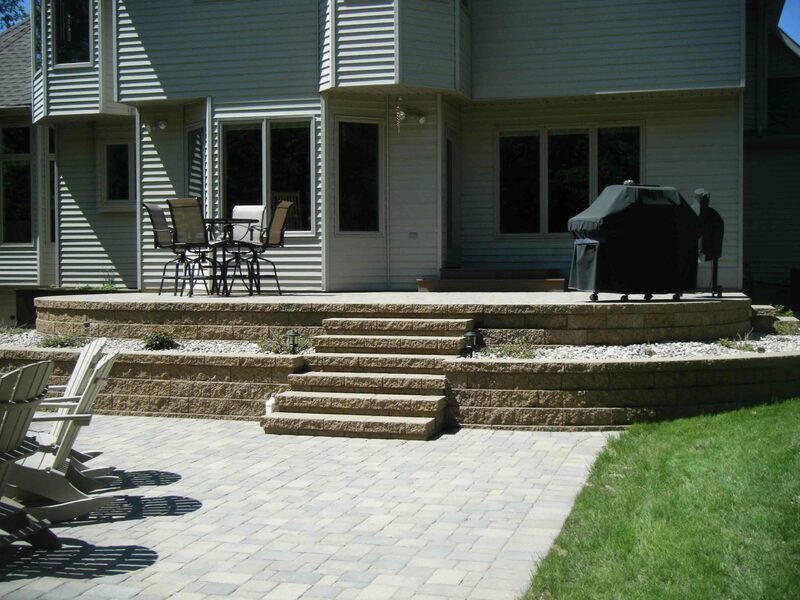 For this look we built steps leading down, but then built a wall to the same height as the walkway area above. 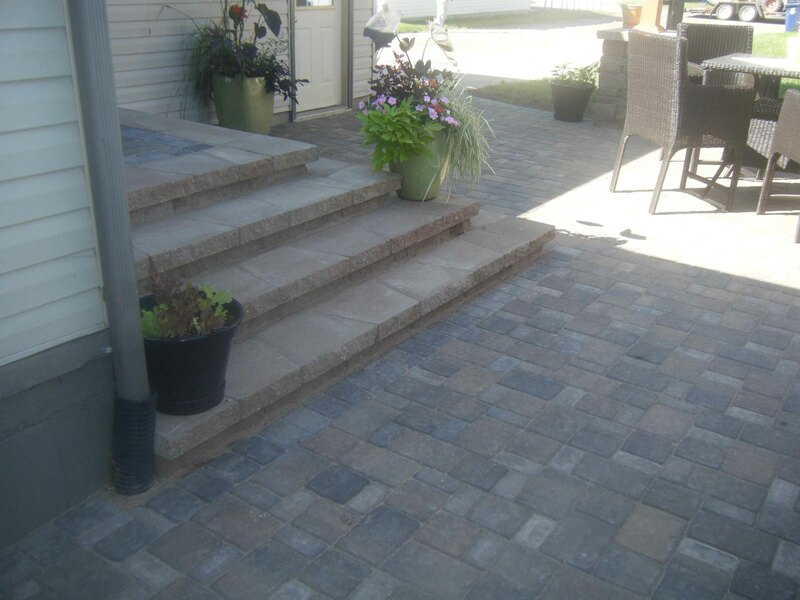 It’s a great idea for garage steps and will add lots of color when your flowers and shrubs are in full bloom. 5. Full-sized Entry. With the patio door being close to the wall, we extended the steps the full width and used the corner of the house to angle with the corner of the steps. 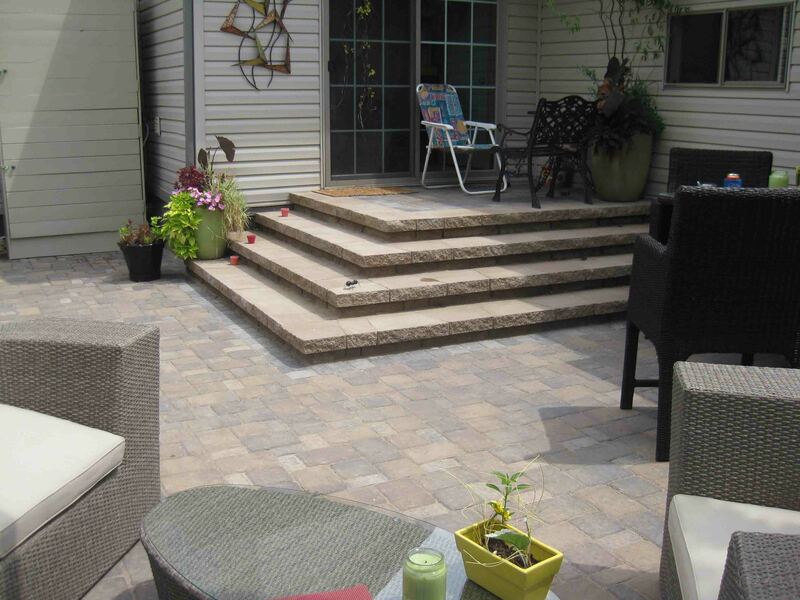 It leads out to a paver patio and you can see how they use the dimension in the steps to decorate their outdoor living space. Now don’t you think about steps in a whole new way? We hope so. And we hope you saw that these ideas will not only enhance your outdoor living area, but can actually give you more space to get inside your home! Then, just for fun, we’d love to hear which design you think could work for your home by answering our poll below.